A rogue may seem reckless to some, but you take pride in your fearlessly adaptable spirit. You survive when others have fallen. Your armour must be just as versatile, so you fortify yourself with the Crisso Leather Spaulder. 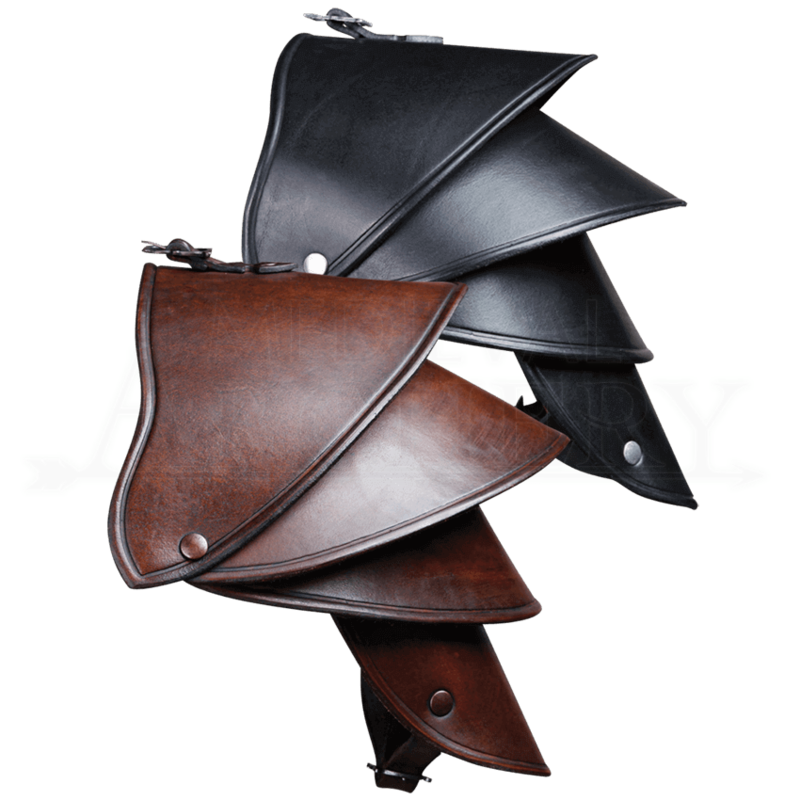 Comfort and flexibility are built-in the design of this shoulder guard. Four separate riveted segments are flexibly fashioned together. The rounded edges feature beading for an excellent look, fit, and feel. An adjustable buckle strap runs underneath the arm. The durable function and style of this upper body armour matches well with Crisso Leather Harness. Spaulders are awesome. However, I bought two and they don't tell you that you need a belt, a strap, or something, to tie the two together and make them cover your shoulders. otherwise, without a strap they just collapse.